This is my first series review. 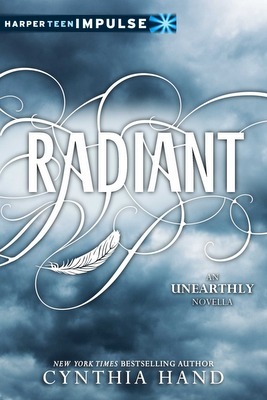 I can’t think of a better series to start with than Cynthia Hand’s Unearthly trilogy. I’ve loved the books since day one. Clara, Tucker, Christian, and Angela were all amazing characters. It was a little disappointing that the series was ending but then it also brings closure to the characters. This series is about Clara Gardner, a teenager who learns that she, her brother Jeffrey, and her mom are part angel, known as angel bloods. Clara’s hybrid status gives her superhuman abilities and an undiscovered purpose to fulfill. Clara dreams of a young man and a forest fire, and eventually Clara meets the boy in her visions named Christian. Clara meets Christian at her new school, since her mom moved her away from California to Wyoming. In Wyoming, she also befriends another angel-blood named Angela, who starts the Angel Club. Clara also becomes best friends with a girl named Wendy, who is human and Wendy’s brother is Tucker. Through this story, Clara becomes romantically involved with both Tucker and Christian, she is immersed father into the world of fallen angels and she tries desperately to figure out her purpose for being on Earth. “Unearthly” was such a neat story about Clara. The reader gets to take an entire journey with Clara as she learns about whom she is and what she is becoming. 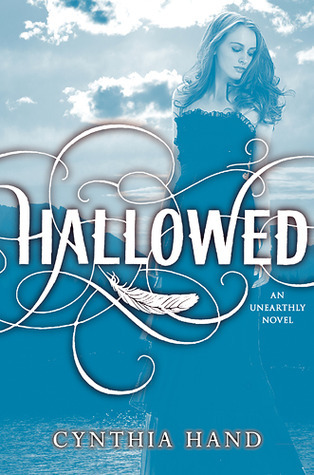 Hallowed is the continuation of Unearthly and in Hallowed, Clara finds out that someone she loves is going to die. Like most people would do, Clara goes into protective mode trying to protect everyone because she doesn’t know who is going to die. She just wants to protect everyone. I can definitely relate, I wouldn’t want people I love to die either, so I would do anything I could to try to protect them. “Hallowed” stills have the love triangle that was in “Unearthly” about where Clara should be with Christian or with Tucker. I honestly didn’t like Hallowed as much as I liked Unearthly, I think my expectations were just too high. I wanted to add Radiant to the review also because it is a short novella that takes place between Hallowed and Unearthly. This is about Angela’s and Clara’s trip to Italy to visit Angela’s family. Radiant is told by Angela’s point of view, and I though Angela was way too winy of a character in Radiant. Angela was all about the poor me point of view rather than looking at the big picture. I don’t like how Angela only thinks about herself; she spills Clara’s secrets way too easily. Clara is a way more loyal friend and Angela ends up treating her like dirt. Boundless is the final book in the Unearthly series. I liked Boundless way better than Hallowed but I still didn’t like it as much as I liked Unearthly. The continuation of this series was hard to beat out the first book. Boundless takes place in both California and Wyoming. Clara, Christian, and Angela have moved to Harvard’s campus for college. While they try to figure out what they want to go to school for, the trio is also trying to figure out what to do about their purposes. Did I mention that they receive a new purpose in every book? Clara also has to prepare to fight a black wing in this book also, as she prepares for this battle; she worries about what the outcome will be. Clara finally makes a choice of who she wants to be with. I really liked this series. I thought it was well written and that the characters had so much depth to them. It was hard to fall in love with all of the characters. I will be completely honest with all of you. I was team Tucker until Boundless. Once I started reading Boundless, I changed my mind. I liked Christian a whole lot better. I finally came to the conclusion that I really didn’t care who Clara chose, as long as she chose somebody. She had two great guys that wanted her attention; she just needed to pick the one that she wanted to be with. I will miss the characters, but I think the story ended pretty well. Maybe not the ending I would like but when do we ever get what we want. If you haven’t read Unearthly definitely give it a try, I think you might fall in love with it like I did. 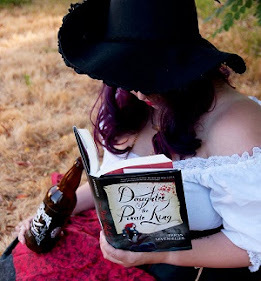 The characters are such great characters, sometimes it is hard to find really good characters in books and I think that Cynthia Hand does a fantastic job. 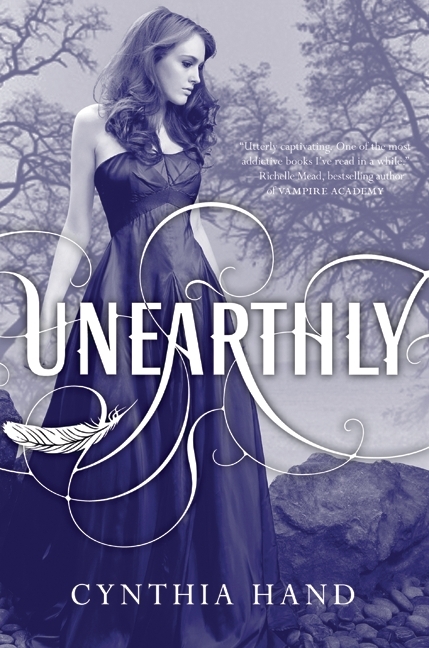 I give the whole "Unearthly" series four out of five bookshelves.